These part of Uttarakhand complete the package for honeymooners as the climate is moderate with the mist so dense, it seemed as though the clouds themselves had descended on the earth. A Honeymooner will get everything in one place, Lakes, Mountains, Adventure, Spirituality, Nature walks, Tranquility, Beauty, Temples, Charm and Hospitality the most beautiful and scenic natural landscapes, waterfalls and diverse flora and fauna. On arrival at New Delhi Railway station/Airport you will be picked up and drove to Corbett National Park. On arrival refreshing drink followed by check in to you room. Rest of the day at leisure. In the evening you both will be taken for nature walk along the bed of River. Overnight at Hotel. Early morning go for jeep safari after light snacks and tea/coffee. Return to the hotel rest of the day visit to Garjia Devi temple its sacred Shakti Shrine located in Garjia Village near to Ramnagar. Return to the hotel leisure. (Optional afternoon Safari) Evening bon fire bar be que theme dinner with dance & music. Overnight at Hotel. After breakfast check out and proceed to Nainital-the lake town in Kumaon District of Uttarakhand State, India. Due to many lake abound in the district its sometimes refer to as the Lake district of India. On arrival check in at Hotel. Afternoon you have leisure time for visit to Nainida Devi temple and boating at Naini Lake. In the evening scroll on the Mall and along the lake naini. Overnight at Hotel. This day after lavish breakfast we will take you for sightseeing visit to China Peak, Nainital Zoo having rare Himalayan Species, Bhimtal, Naukuchia Tal and Eco cave Garden. Return to the hotel after some relaxing at your comfort of the room you can go for boat riding or visit to the Mall. Overnight at Hotel. 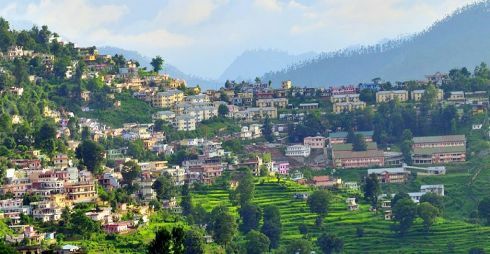 After breakfast check out & proceed to Almora a beautiful quaint hill station far from hustle and bustle with rich cultural heritage. On arrival check in to you resort or hotel. Visit to Kalimut there is famous Maa Kali temple and Katarmal Sun Temple the 2nd most important temple dedicated to Sun only after Sun temple of Konark. Later on time of sunset reach to bright end corner famous for Sunset view. Overnight at Hotel. Optioal early morning sunrise view from bright end corner. Return to the hotel breakfast and free time to walk along the lane of Alomora also shopping at Almora for local handicrafts. Overnight at Almora. Drive to New Delhi after breakfast. Reach & will be transferred to either railway station/Airport/Hotel for extension tour if any. Avoid having juices from the roadside vendors. Always take canned juice, that too of a well-known brand. Never ever eat cut fruits and vegetables. If you are having something from the outside, have food that is properly cooked. In order to avoid dehydration during summers in Uttarakhand, drink fluids. Make it a habit to wear a cap or a scarf and apply sunscreen while roaming around during the summers in certain parts of Uttarakhand.